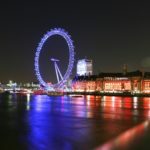 London Startups 2019 – Everything You Need to Know! Despite the doubts over business in the UK as the country gets ever closer to leaving the European Union, and potentially without a deal agreed upon, it hasn’t impacted the thriving London startup scene. Take for example the fact that the UK is still very much so the tech ‘unicorn’ capital of Europe (with the term ‘unicorn’ referring specifically to the unique and rare nature of them). Overall, it is estimated that the UK is home to a whopping 37 per cent of unicorn companies in Europe, with these businesses amassing a colossal 23 billion dollars in total. Furthermore, it still remains the case that the UK’s startups still managed to obtain the most venture funding in any city in Europe in recent years – over £2.45 billion. With these astonishing statistics in mind, TechRound offers tech startup news and has decided that a new year requires a brand new guide on all you need to know about the London startup scene in 2019. So if you want to get to grips with the London startups or are considering starting your own company and setting up home in the capital then now is the time to take a look and get clued up! Want to feature your company? Get in touch. How many startups are in London? 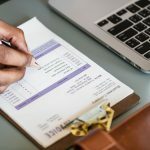 According to the thinktank Centre for Entrepreneurs, an average of 660,000 businesses are established in the UK yearly, showing how much of a UK start-up revolution has taken place in recent years. In terms of the exact number of startups in London, statistics have yet to be revealed which show this data, but it estimated that the number of new businesses based in the capital is around half a million in total, and growing in number each and every year. These high numbers continue to demonstrate just how much of a desirable location the city is for new companies. What are the best areas in London for startups? London is one of the most exciting cities to work and live in. As a result, trying to pinpoint the very best areas for startups to be based in the capital is no easy feat, professionals are really very much spoilt for choice when it comes to picking a destination. But here is our best of the bunch. This area of is basically the professional home of the lively tech hub for startups, with this part of East London being dramatically changed in the last decade thanks to tech-startup driven growth, leading to what some have called digitally-fuelled gentrification, but it is best known as the Shoreditch Silicon Roundabout. However, the growth in popularity of Old Street and Shoreditch has led to an influx in rent prices, which is something you may need to take into consideration. According to statistics, Richmond is one of the places in London where businesses that are set up there have some of the highest company survival rates, reaching over 76-80 per cent. Westminster is becoming a hotspot for startups in London, with more businesses setting up shop in the borough than any other borough combined in London in most recent data. Based in North London, this up and coming tech suburb is neighbours to other fast rising areas such as Highbury, Caledonian Road and Archway. It is only a few stops from Kings St Cross Station. What are the best London startups to work for? Topping the LinkedIn list for a second year running, Monzo is on a roll. It has over 300 employees and now has more than a million UK customers since it first launched in 2015. Employees can benefit from a huge amount of benefits, and generous vacation leave. Another startup in the finance sector, Revolut has more than two million customers and more than 400 employees. It provides customers with free international money transfers and current accounts. This startup is a clothing and accessories startup that is all to do with ‘fast fashion’. It has over 250 employees with its headquarters based in London. this company has set up on-demand streaming services for sports fans. Whilst its headquarters is based in London, it is not yet available to UK customers. Founded back in 2012, the tech group has created a cloud-based platform that allows developers to be able to launch and operate online games without the limitations of traditional servers. The company now has over 300 employees. Who are the biggest London startups? Which specialises in augmented reality as well as computer vision technology. Launched in 2013, it now has more than 10,000 restaurants linked to their website and app that deliver food to customers front door. Has developed machine learning technology which helps to prevent cyber attacks, and is estimated at being worth a staggering 1.25 billion dollars. A new platform helping you remortgage faster than ever before and was founded in 2014. Is a medical start-up that works on developing new cancer drugs. Founded in 2010, the company has created a peer-to-peer marketplace for small and medium-sized companies across the country. It is arguably the case that TransferWise basically pioneered the FinTech industry. Created back in 2011, the startup helps to dramatically reduce the cost of international money transfers between bank accounts. Is an email marketing platform that using human language and AI in order to optimise subject lines and ad copy. Read more about Phrasee here. this startup is focused specifically on e-commerce, owning a number of high profile brands like Zavvi and LookFantastic. It is estimated to be valued at over £2.5 billion in total. How many people work in startups in London? Exact statistics of just how many people in the city work for startups in London has not been specified. 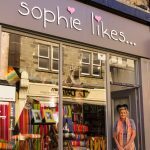 However, it is estimated that across the country, the number of businesses in operation has increased by over 2m since 2000 alone, rising from 3.5 million to over 5.5 million. Nevertheless, most of these startups employ fewer than ten people, and an increasing number are sole proprietors of their startup. What are the best accelerators in London? There are a a number of accelerators and incubators in London that will help you nurture, raise funds and grow your startup business. Some of most well-known include The Bakery, Level 39, Y Combinator, Fuel Ventures and Wayra. See our full list of startup accelerators in London. 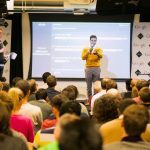 What are the startup events in London?